Mostella began the run by nailing a jumper with 3:08. An Armani Moore put-back off a missed 3-pointer from Punter provided the final lead change of the afternoon that gave the Vols a 67-66 advantage with 2:26 to go. The Vols closed the game by outscoring TSU, 11-3 over the game’s final 3:26. Devon Baulkman hit a 3-pointer in the opening minutes of the game, the 11th game in a row the senior has knocked down a trey. Baulkman has hit at least one in 11 of 12 games this season, only missing in the season opener vs. UNC Asheville. 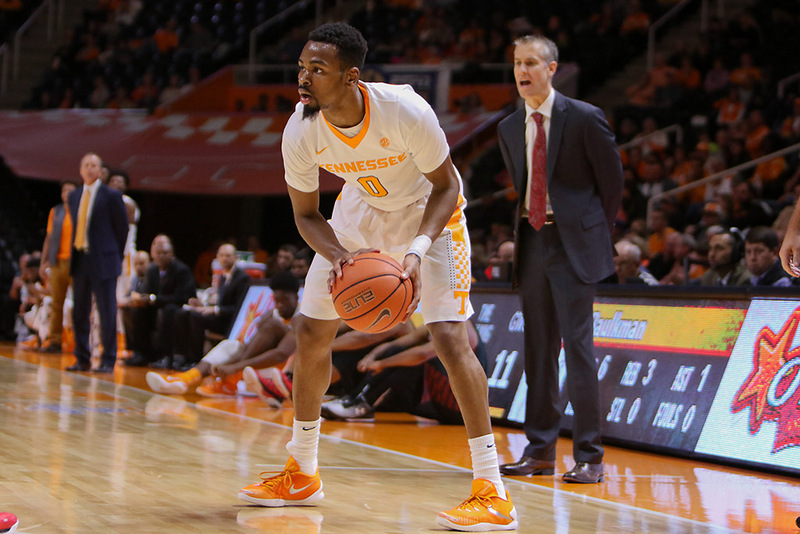 The streak is the longest by a Vol since Jordan McRae made at least one 3-pointer in the first 25 games of the 2013-14 season. Overall, McRae made a 3-pointer in 37 games in a row dating to the final 12 games of the 2012-13 season. Armani Moore reached the 100 shots-blocked plateau for his Tennessee career with three against the Tigers. Moore is the 13th Vol all-time to reach that milestone and the first since Wayne Chism (2006-10), who finished second on the all-time list with 152.